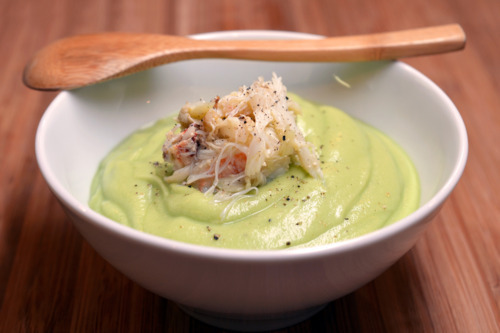 Want a refreshing and creamy soup that’s totally satiating? Well, go grab your blender and this meal will be in your belly in about 15 minutes. I like the consistency of this soup to be thick – almost puree consistency – so I use Aroy-D coconut cream. For a thinner soup, use coconut milk or dilute with extra water. If you want to get all Martha Stewart on your friends, serve this soup as an amuse bouche in Chinese porcelain soup spoons at your next party. 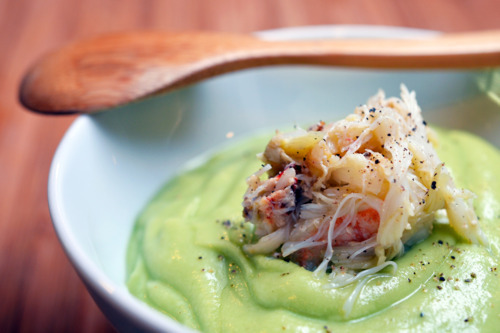 You’ll look like a culinary rock star and no one will be the wiser. …get all the meat out. 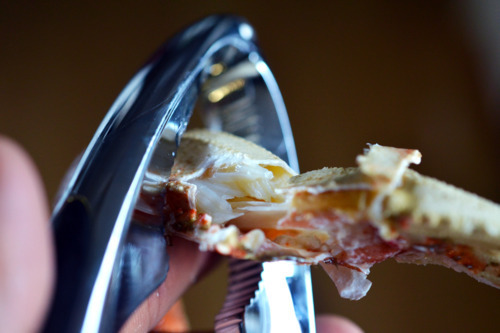 Alternatively, you can crack open a can of crab, but what’s the fun in that? 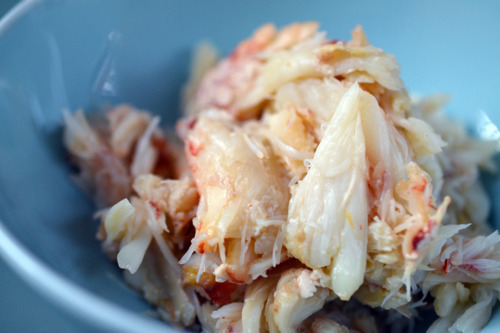 Refrigerate the crab meat until chilled. 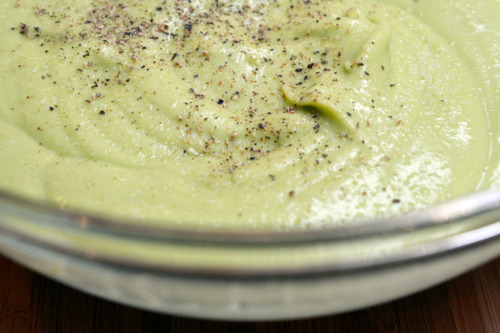 Throw the avocado chunks in a blender, along with 1 cup of the coconut cream, a generous pinch of salt, and a dash of Ancho chili powder. 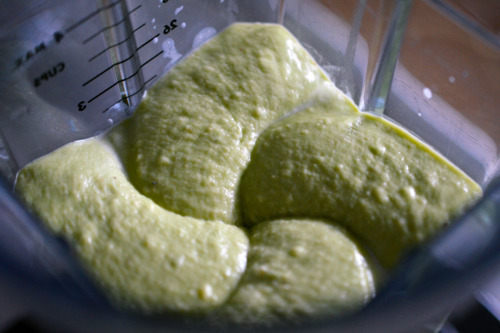 Purée until you get a thick avocado slurpee. 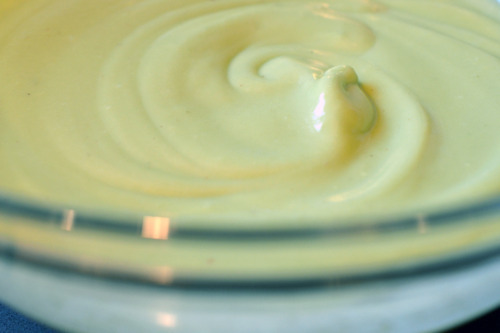 Transfer to a bowl, add the water and the remaining coconut cream, and stir until smooth. Press some plastic wrap on the surface of the liquid, seal tightly, and chill in the fridge for an hour if time allows. If you don’t want to use plastic, be prepared for some serious discoloration. 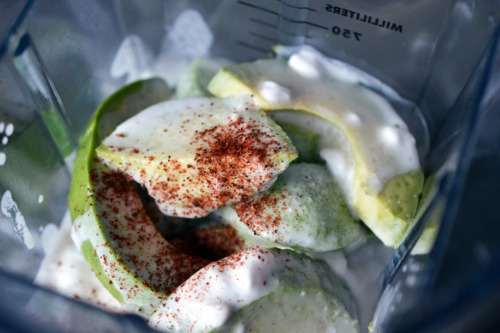 When ready to serve, add 1-2 tablespoons of the lime juice, some freshly-ground black pepper, and another pinch of salt. Adjust the seasonings to taste. 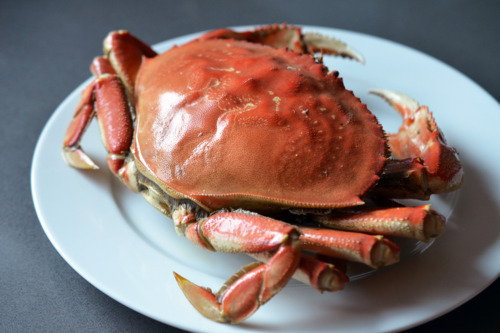 Take the crab meat out of the fridge, and season it with some of the remaining lime juice, salt, and pepper. 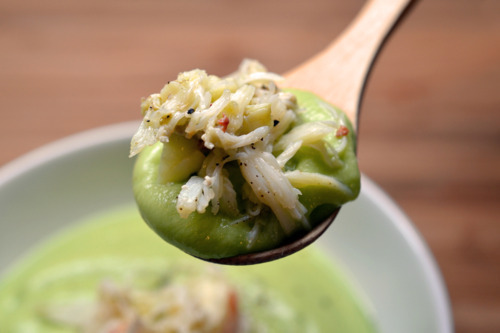 Ladle the creamy, cool soup into chilled bowls and top with a generous dollop of crab.